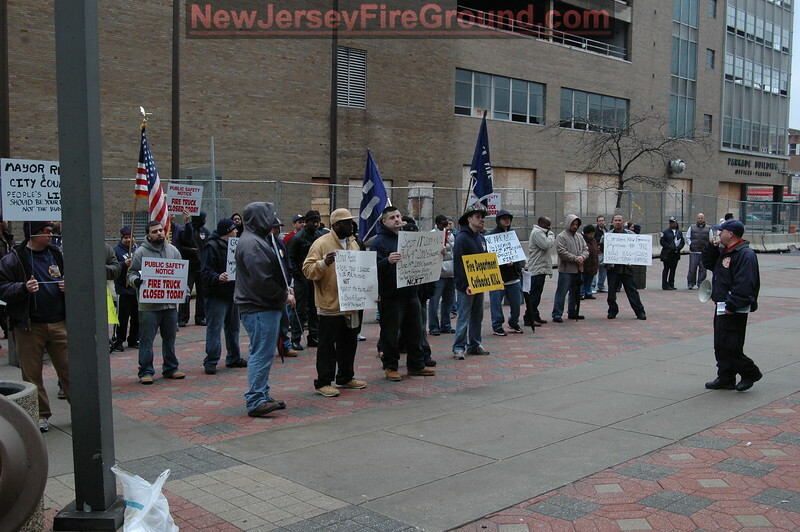 Camden City Firefighters held a Rally infront of City Hall, Monday morning at 8 A.M. The message was "Restore Public Safety now." This coming days after a firefighter recieved burns to his face and neck in a house fire in the Fairview section of the City, where a Ladder Company was closed due to the Mayors Layoffs. The firefighter was involved in a flash over. Also in the same night a fire call was handled by a Chief Officer with no available units in the City. City firefighters battled 4 fires that night.